Provides temporary daytime and nighttime relief from cough, nasal congestion, runny nose, headache, sore throat, and fever. 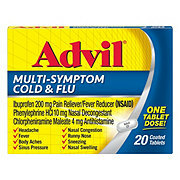 Directions: (Severe Cough, Mucus & Congestion Day): Do not take more than the recommended dosage. 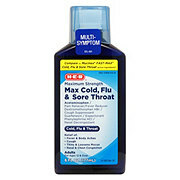 (Severe Cough, Mucus & Congestion Night): Do not take more than the recommended dose. 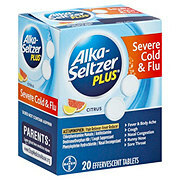 (Severe Cough, Mucus & Congestion Day): Adults and Children 12 Years and Over: Take 2 capsules with water every 4 hours. Do not exceed 10 capsules in 24 hours or as directed by a doctor. Children Under 12 Years: Do not use. 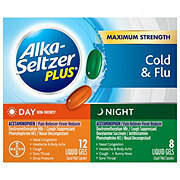 (Severe Cough, Mucus & Congestion Night): Adults and Children 12 Years and Over: Take 2 capsules with water every 4 hours. Do not exceed 10 capsules in 24 hours or as directed by a doctor. Children Under 12 Years: Do not use. 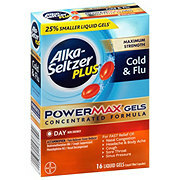 Ingredients Active Ingredients: (Severe Cough, Mucus & Congestion Day): In Each Capsule: Acetaminophen (250 mg), Dextromethorphan Hydrobromide (10 mg), Guaifenesin (200 mg), Phenylephrine Hydrochloride (5 mg). (Severe Cough, Mucus & Congestion Night): In Each Capsule: Acetaminophen (325 mg), Dextromethorphan Hydrobromide (10 mg), Doxylamine Succinate (6.25 mg), Phenylephrine Hydrochloride (5 mg). 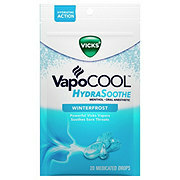 (Severe Cough, Mucus & Congestion Day): Purpose: Pain Reliever/Fever Reducer, Cough Suppressant, Expectorant, Nasal Decongestion. (Severe Cough, Mucus & Congestion Night): Purposes: Pain Reliever/Fever Reducer, Cough Suppressant, Antihistamine, Nasal Decongestant. 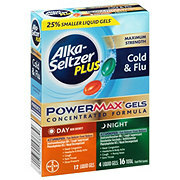 Inactive Ingredients: (Severe Cough, Mucus & Congestion Day): FD&C Red 40, Gelatin, Glycerin, Mannitol, Polyethylene Glycol 400, Povidone, Propylene Glycol, Purified Water, Shellac, Simethicone, Sorbitan, Sorbitol, Titanium Dioxide. (Severe Cough, Mucus & Congestion Night): FD&C Blue 1, D&C Yellow 10, Gelatin, Glycerin, Polyethylene Glycol, Povidone, Propylene Glycol, Purified Water, Shellac, Sodium Hydroxide, Sorbitol Sorbitan Solution, Titanium Dioxide.